There are no two phrases or even two words that mean exactly the same thing. There is no such thing as "repetition of the same idea with different wording". All words and phrases in Tanach are necessary. Not only would the idea that the author is trying to get across be deficient without the specific phrase he uses, but also that no other phrase with different wording could take its place and convey the same idea. No phrase, verse, or section in Tanach is pointless. Everything that is written has profound meaning. Anyone who had read part of Malbim's commentary can see how these "axioms" are incorporated. What has always bothered me, though, is that Malbim seems to be saying with (1) and (2) that Tanach is devoid of poetic style. The author did not have a choice with his wording, but rather used the only phrasology available to convey the exact point he was trying to make. Not only is this uncomfortable for me to accept, but it also seems to be in direct opposition to the multitude of Rishonim that wrote commentaries on Tanach. Radak seems to be especially fond of saying that certain wordings are "כפל ענין במלות שונות" - "repetition of the same idea with a different wording". Ibn Kaspi is especially well-known for saying that the way the Torah writes many things is a matter of style, and that anyone who tries to learn things from the fact that the Torah wrote something one way and not another way is attributing meaning to something that has none. Now, perhaps Ibn Kaspi is an extreme example, but I cannot find a single Rishon that would agree with Malbim's axioms (1) and (2). Malbim is an innovator. He effectively rejects the approach of all those that came before him to introduce a completely novel approach to Tanach. The problem with this is that in general, the religious Jewish community is not fond of commentaries with approaches that are "too novel". I have often heard that certain newer commentaries should not be learned because they strayed from the path of the earlier commentaries in their approach. Malbim, however, is so popular, that it is difficult to find a set of Mikraot Gedolot on Nach that does not include his commentary. Malbim is not a p'shat commentary. Being that most of the Rishonim under question were of the p'shat approach, the earlier discussion would not pose a problem. Also, this can be seen by the fact that one of Malbim's main tasks is to justify Chazal's midrashim based on the text, especially the midrash halacha, which seems to be his entire commentary to Shemos through Devarim. And midrash halacha has, for the most part, already been identified as part of the d'rash approach, in opposition to p'shat, by such commentators as Ramban and Ibn Ezra. How do you explain the Malbim's deviation from earlier commentators in light of his unbelievable popularity in the modern religious community? To summarize (and perhaps embellish) Prof. Yaakov Elman's The Rebirth of Omnisignificant Biblical Exegesis in the Nineteenth and Twentieth Centuries, which addresses all this at length, Hazal seemed to assume that every word in the Torah was deliberate, meaningful, and not mere stylistic flourish. 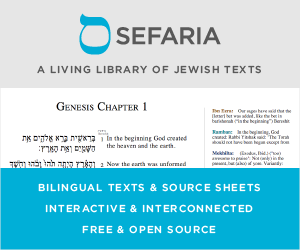 However, in response to Karaism, Rav Saadya Gaon greatly downplayed the role of exegesis, and promoted instead tradition as the true source of understanding of the text. This exegetical approach applied all the more so to non-legal matters. This methodology became popular among the Rishonim. However, the 19th century saw the rise of attack on the Written Law itself. To combat this, the Malbim and others resurrected the approach that each word in Scripture is deliberate and meaningful. Thus: was Malbim an innovator? Yes as his approach was in contradistinction to that of the previous millennium of Bible commentary. But it largely followed the approach of Hazal. One passage that relates to omnisignificance is the rabbinic interpretation of Deut 32 47: “For it is not an empty thing for you it is your very life. And if [it appears] devoid [of moral or halakhic meaning] it is you [who have not worked out its moral or legal significance]." (Yerushalmi Ketubot 8:11). Rav Saadya Gaon attacks Karaite methods of biblical exegesis, in particular their use of analogy. Since many midrashic middot may be categorized as forms of analogy (hekesh, gezerah shavah, binyan av or mah matzinu) or work by analogy (kelal u-ferat and its near relations, ribbuy and micut, etc. ), we may understand his strategic retreat from this battleground and his insistence on tradition alone. Depriving halakhic midrash of real authority prepared the ground for his counterattack on Karaite legal exegesis. This view continued to exercise influence so long as Karaism remained a threat, and its traces are to be found in the works of later Geonim, R. Shmuel ha-Nagid, R. Yehudah ha-Levi, and Ibn Ezra. That is Rav Saadya Gaon minimized the textual role played even by halakhic portions of the Torah, explaining the ultimate source for the derived laws as being the tradition. Thus, when faced with the anti-rabbinic challenges of nineteenth-century heterodox movements, one influential representative of Orthodox thinking on the matter, R. Y. I. Halevy Rabinowitz (1847-1914), author of Dorot Rishonim, took a similar stance. Note the following, from a volume published in 1875/6. All the derashot in the Talmud [intended] to provide proof-texts (lehasmikh) for the words of the Mishnah are only hints in the biblical texts, ...And the derashah is nothing but a hint for the matter...for from biblical proof-texts (derashah di-qeraei) we learn nothing. However, the modern challenge was far more serious. While the Karaites rejected rabbinic interpretation and authority, nineteenth-century thought challenged those and more; scriptural authority and divinity were eventually threatened as well. The new challenge thus required a response broader than R. Saadiah's polemics against Karaism. It thus fell to the lot of nineteenth-century scholars such as R. Yaakov Zevi Mecklenberg (1785-1865), R. Meir Leibush Weiser (1809-1879, known by the acronym Malbim), and Samson Rafael Hirsch (1808-1888) to attempt to come to grips with omnisignificance again. It differs from Nahmanides' revival of the omnisignificant program in the Middle Ages. Nahmanides dealt with issues of proportion, repetition and sequence, as I have shown elsewhere. But he did so within a context that allowed for peshat as an independent area of interpretation, a point that Malbim is at pains to disavow. For Malbim, the medieval distinction between peshat and derash is all but obliterated; in his oft-quoted phrase, to use Harris rendering, the peshat that accords with the true and clear rules of language is only to be found in [what we conventionally refer to as] the derash. Kugel, in his history of the study of parallelism, notes that Malbim was clearly aware of the binary structure and semantic pairing of parallelism..., [but] he frequently stated that repetition as such did not exist. He rejected utterly the approach to biblical style that had been adopted increasingly by Jews and Christians since the Renaissance. Elman further documents examples where Malbim extends Hazal's exegetical techniques. Thus, he was certainly an especially when compared with Rishonim, but his approach was broadly consistent with his contemporaries such as Rav Hirsch, and was broadly based on Hazal. I always understood it as a deeper way of looking at the words of Tanach. When learning Tanach, the question arises, "Why is the writer/composer saying the same thing twice". A superficial (not in the negative sense) answer is that it is poetic. This answers all the questions. We don't have to find a deeper meaning for the repetition. On a deeper level however, one can say (as the Malbim does) that even the repetition has a purpose. It's not just saying the same thing twice, but saying (and teaching us) something slightly different. So (as I understood it), the Malbim is telling us that, while it is true that the writer/composer was being poetic, every word and phrase is exact, and there is something we can learn from it. While not entirely the same, there is an argument between R' Akiva and R' Yishmael (Sotah 3A) with regards to the Torah repeating a law. R' Yishmael says that there may be a whole extra sentence just to teach us one thing. R' Akiva on the other hand, says that the sentence is not extra, and is coming to teach us something. There are many passages in Tanach that repeat the same concept using different words to express essentially the same thing. The question arises, "Why express the same idea twice, using different words?" To this, many commentaries answer that it is a distinction without a difference. The same concept is being repeated using different words, purely for poetic reasons. The Malbim takes it a step further, and says that it is not a distinction without difference, purely for poetical reasons. If we carefully translate the words chosen to express the concept, we can learn something from each of those words. To me, this still falls under the category of p'shat. As an example of this, I recently saw the Ramban on Devarim 13:2. There, where the verse talks about the miracles that a prophet may do, the Ramban differentiates between an Ot and a Mofet. He explains that they are two different types of miracles (Ot == A sign for the future ; Mofet == A wondrous act that was not foretold). After that, he brings the Sifri, who says that they are not two different things, but two different ways of saying the same thing. It is true that Malbim may have gone further than many rishonim, probably as a reaction to the Maskilim. However, this doesn't mean he was a radical innovator. Like the question and other answers mention, there are different levels of interpretation and explanation. So a text may repeat something for poetic effect, but still choose words that have a meaning. When Radak says something is repeated poetically, it doesn't mean he would reject any additional explanation of the matter. While he may not have agreed with the need to explain every repetition, it doesn't mean he would reject every individual explanation of the Malbim. So Malbim was a natural development in Biblical exegesis, something that could be accepted as a commentary. More surprising perhaps is that Ralbag is so many editions of Tanach, or that the Brisker approach to Gemara became so widespread. The author did not have a choice with his wording, but rather used the only phrasology available to convey the exact point he was trying to make. It seems preferable to say a word has a specific meaning and isn't just there stylistically, since that gives more significance to the words of Tanach. I don't think it means there's no style either, just that the words were chosen to be able to accomplish both purposes. The only question is how well such an approach holds up in practice. Although is commentary his studied, I don't think his approach is necessarily accepted as always being correct. While the Malbim differs in his approach to other commentators, he did not innovate the approach. The gemora itself sometimes uses this technique to learn halachot. You will also find phrases in the Midrashim which use this approach as well. What Malbim did do differently, was systematically applying this approach to all of Tanach. As you stated, the Malbim is not talking about pshat, while others are doing so. In fact, the Malbim even says that the Drashot are Pshat Peshut. So for the Malbim to write "pshat" is to write what everyone else calls "Drash"
Just because something is true and believed, does not mean it is the only truth or only valid belief. As the gemora says, there are 70 faces to the Torah. Also, Eilu v'Eilu. Not the answer you're looking for? Browse other questions tagged history tanach commentaries parshanut-theory . When was the Passover Lamb selected?